NYC, 02/16/2019, 2:00PM. 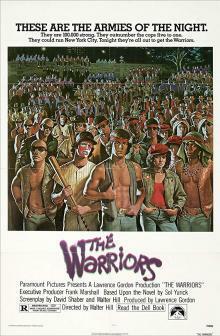 The Warriors (1979): A Story On New York Gangs . 92 min. Director: Walter Hill. The Warriors had grossed $16.4 million, well above its estimated $4 million to $7 million budget. The Warriors video game, based on the movie, was released by Rockstar Games on October 17, 2005.